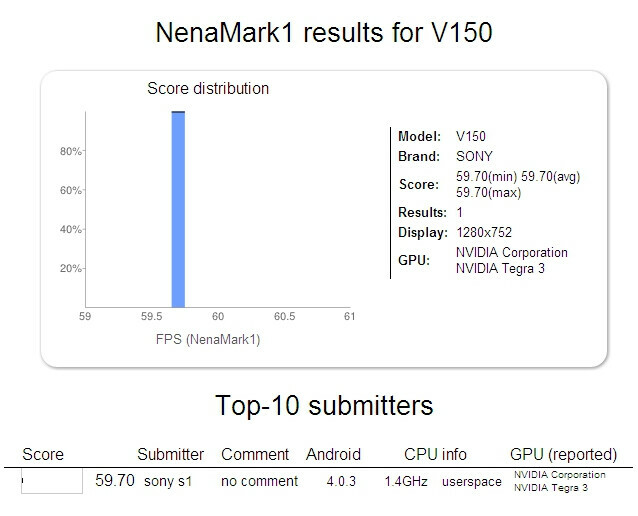 Sony appears to have a new device coming down the pipe, appearing as V150 on NenaMark 2 tests. The tablet will be powered by the quad-core Tegra 3 chip, which explains the close to 60fps results in the graphics benchmark test. The submitter is listed as S1, which is also the codename of the first Sony Android tablet, so the V150 is likely a souped-up successor. Slashing the price of the old one now seems pretty logical, and not only forced by the inevitability of the new iPad launch. Resolution is actually appearing as 1280x752, indicating space reserved for Android's navigational strip at the bottom. If the V150 sees the light of day in this quad-core reincarnation, it will indicate that Sony is against quad-cores in principle, just not for tablets, obviously. 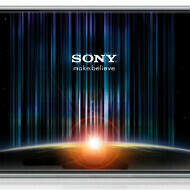 Sony need to make Xperia Play 2 with Tegra 3 having a design similar to PSP. Then you could have a proper Android gaming smartphone. The downside is that the market for this phone is too small. About the Xperia Play - It's actually so simple that it blows my mind if Sony isn't planning this - they need to make a Xperia play phone, but without the slide out keyboard. Instead, they must offer a standard gamepad accessory applicable to all of their high end phones. The Xperia Play 2 would earn its branding by having the gamepad as a part of retail package, and also lots of games already installed in the phone. Separate gamepad accessory is a MAJOR potential for android actually, and Google needs to recognise that, as well as other manufacturers. It could really make Google play the handheld gaming platform of the future. @darac Agree with you, with proper control layout we will have immersive android gaming experience.